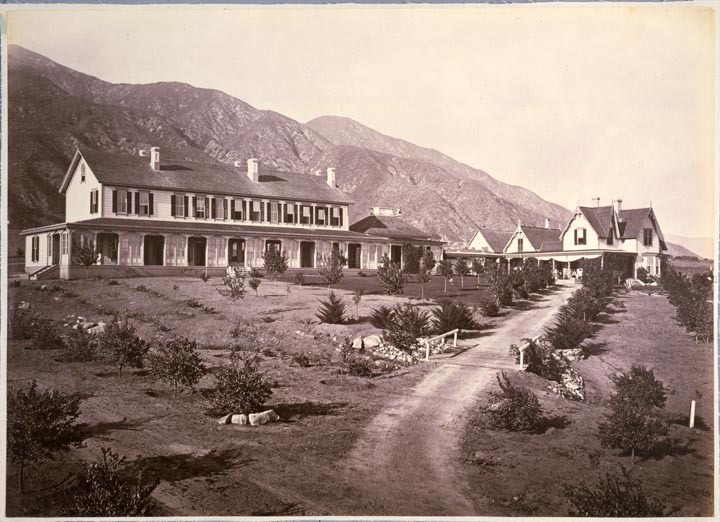 William Lauren Rhoades grew up in the 1870's and 80's at the Sierra Madre Villa Hotel. His dad, William Porter Rhoades, was the proprietor of the Villa and co-owned the Villa along with his father in law, artist William Cogswell. As an old man, William Lauren recounted the history of the Sierra Madre Villa and wrote about the Christmas of his childhood. The story includes a donkey named after his mom, a giant Christmas tree, and a gift exchange between the two cultures that lived full time at the Villa -- that of the Rhoades and Cogswell families, who had migrated west from New York, and that of a group of Chinese men, who had originally migrated east to work on the railroads and then staffed the Villa.